How do you avoid being ‘mankaded’? Especially against a shrewd bowler like Ravichandran Ashwin? Well, ask David Warner! 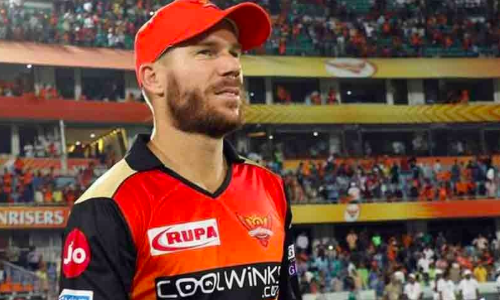 The Australian batsman, playing for SunRisers Hyderabad (SRH) against Kings XI Punjab (KXIP) in an Indian Premier League (IPL) match on Monday, found a way as to how to counter possible ‘mankad’ threats from the off-spinner. In a juxtaposition that went viral online, Warner can be seen hilariously trolling Ashwin by stretching his bat-held arm completely inside the crease. On the other hand, he stood normally during other bowlers’ spells. This comes on the back of Ashwin controversially dismissing Rajasthan Royals’ Jos Buttler during one of the games earlier this season. While the veteran Indian did nothing wrong as per rule books, many thought his action went against the spirit of the sport. Meanwhile, even as Warner’s unbeaten 70 propelled SRH to 150-4, KXIP rode on knocks from KL Rahul (71 not out) and Mayank Agarwal (55) to chase down the target with six wickets in hand.